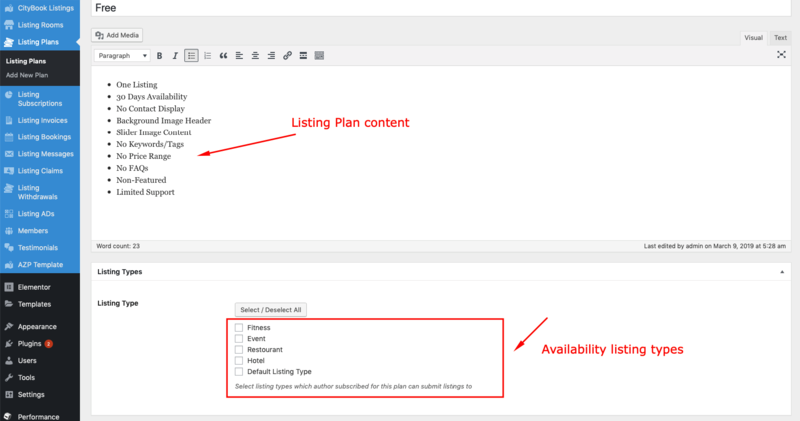 As site owner ( administrator ) you can add how many listing plan post you want, they will be listed under Listing Plans admin menu. 2 – Plan price. The plan is free if has 0 value in price option field. 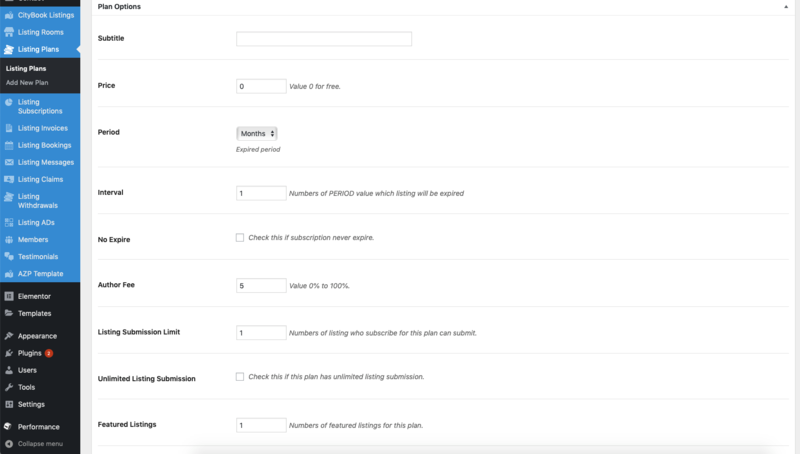 3 – Duration which author subscription will be expired and have no longer ability to submit listing. There is also option to set plan never expired. 6 – Author fee. Percentage of commission, author must pay you (site owner) for each listing booking. This will be used to calculate author earning. 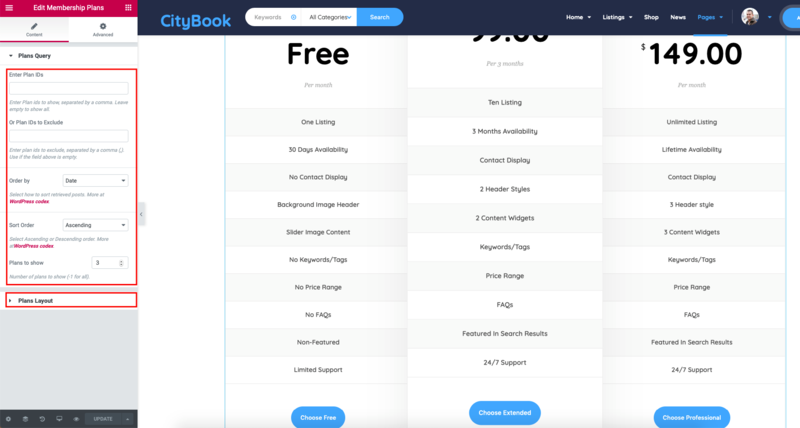 8 – Stripe plan for recurring plan for Stripe payment. 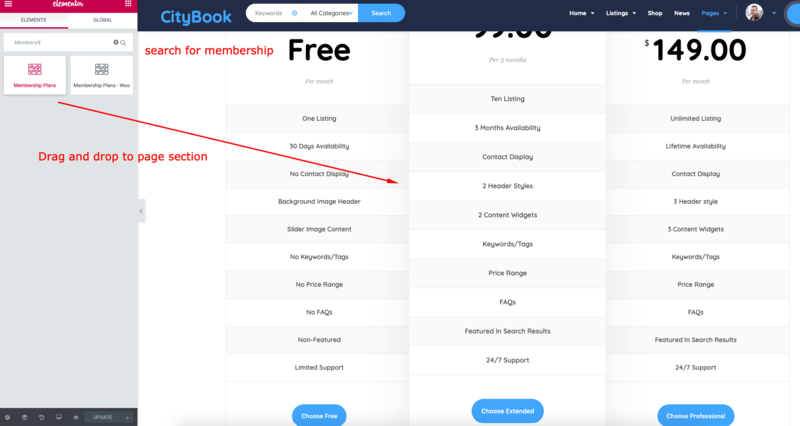 You have to edit page with Elementor page builder, search for Membersip Plans or Membership Plans – Woo element to adding plans to page and allow users buy your plans. There are many option on on the element for selecting plans to show or not, plans layout. Membership Plans – Woo element allow users buy plan via WooCommerce payment. When user add plan to WooCommerce cart, they are not able to add other products to the cart. And have to complete order before buying other products. Note: There are limited WooCommerce payment methods for recurring plan.